Solid State Logic commonly known as SSL is a manufacturer with that rare honour of being synonymous with the product type they are most famous for. 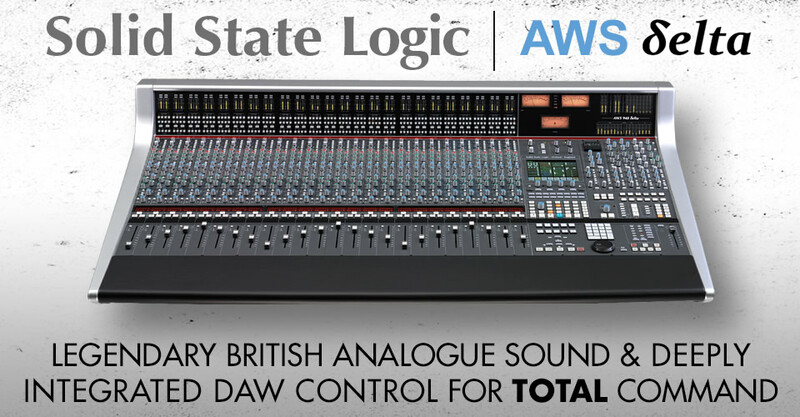 The name Solid State Logic came to represent all mixing consoles back in the eighties. 'Do you have an SSL?' was a common request made by record companies when booking recording studios, and they certainly weren't referring to any specific model, rather, what they were asking for really was 'Do you have a large mixing desk'? After a few ownership changes over the decades, one of the jewels in the UK's manufacturing crown was revamped and co-owned by musician Peter Gabriel until late 2017 when SSL was acquired by the Audiotonix group. Having revolutionised the mixing console world with Total Recall and digital control, they now make a range of consoles, outboard and convertors for every aspect of the music production process. Their classic G-Series compressor which used to be known as the 384 which was featured, and still is, in all their large consoles and was a major part of the sound of Pop, Rock and R'n'B records. This has now been ported across to the 500-Series format alongside the E-Series EQ, E-Series Dynamics and VHD Pre-amp modules. Their own X-Rack system is a proprietary modular design, featuring modules identical to those available in their AWS948 and Duality consoles as well as more traditional E-Series/G-Series designs, alongside summing and pre-amp modules. Alongside their flagship Duality Delta and AWS Delta consoles, there are a range of desks and controllers suited to the smaller production studio. These include the X-Desk, XL-Desk, Nucleus2, Sigma summing module and the Matrix2 console. All of these products offer a fantastic analogue sound and with the new Delta Control software available for the the Sigma and Matrix2, control and DAW integration has never been better. Solid State Logic are showing how forward thinking they are by releasing the new FUSION Stereo Colouration Processor, designed for those mixing ITB or OTB or using a Hybrid system, FUSION allows you to add that extra subtle polish and depth to a mix. KMR Audio supply all Solid State Logic (SSL) products, with many on demonstration, and can provide bespoke installation services for the AWS and Duality consoles.